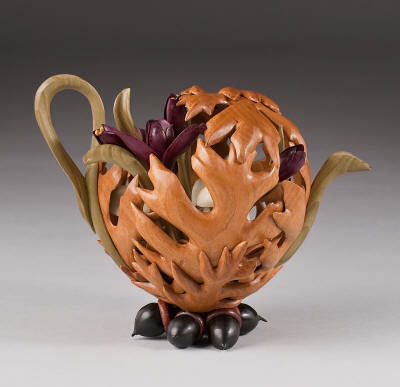 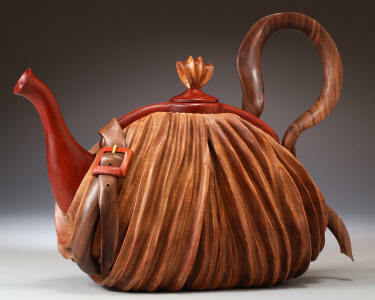 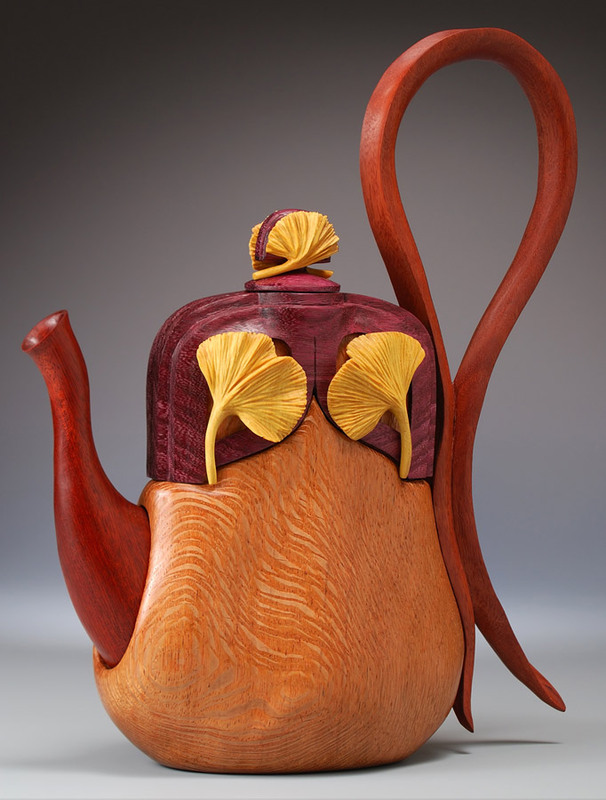 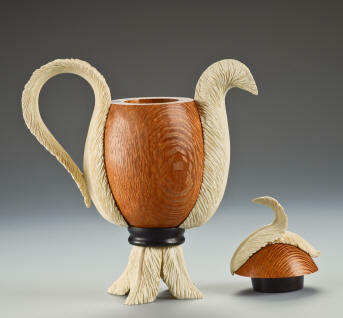 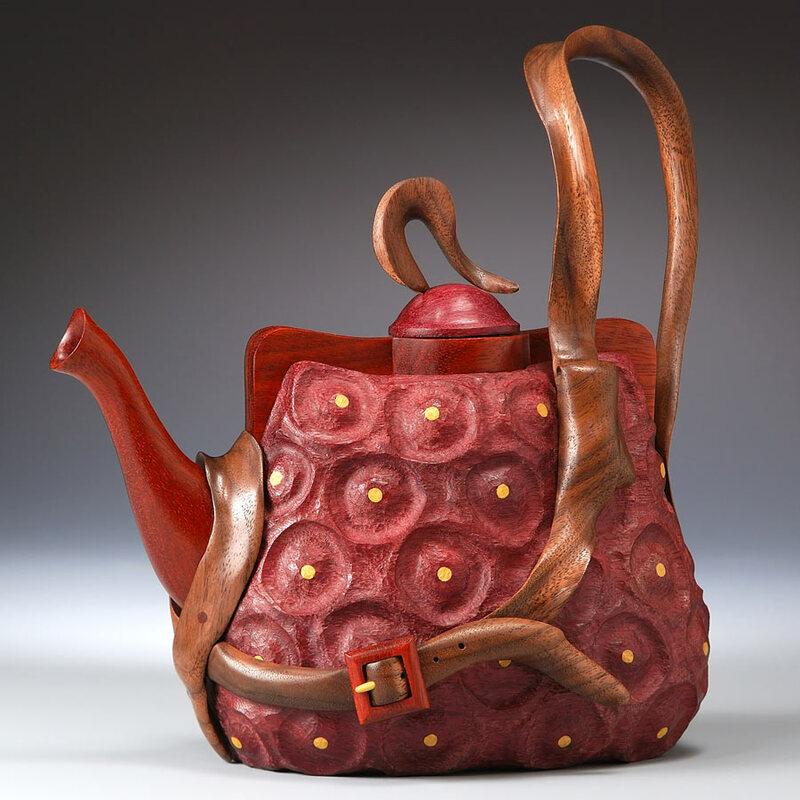 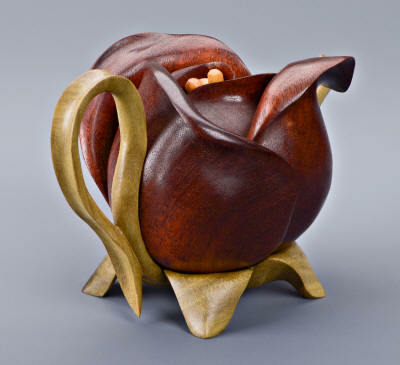 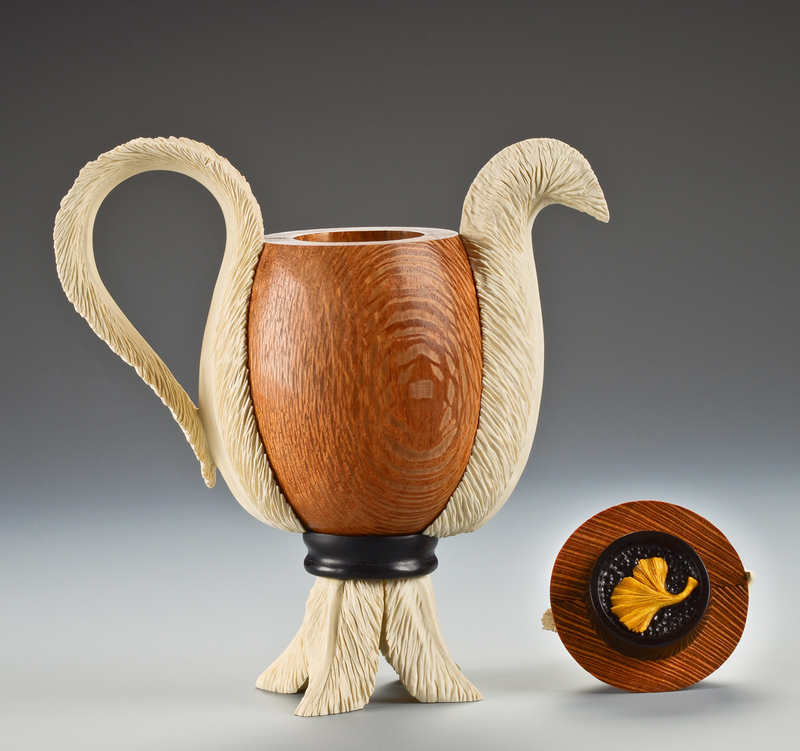 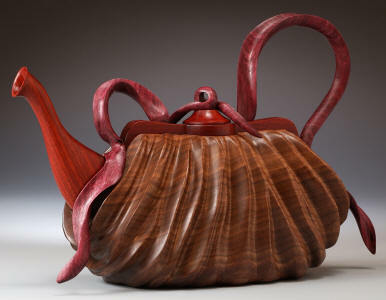 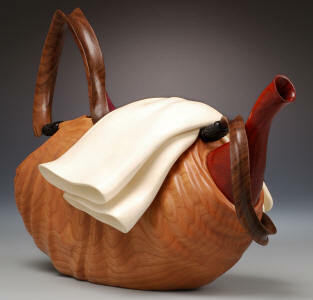 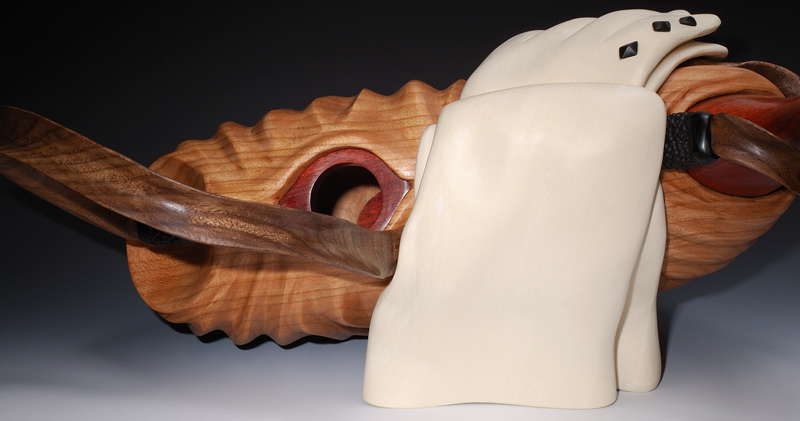 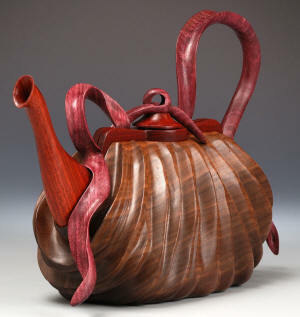 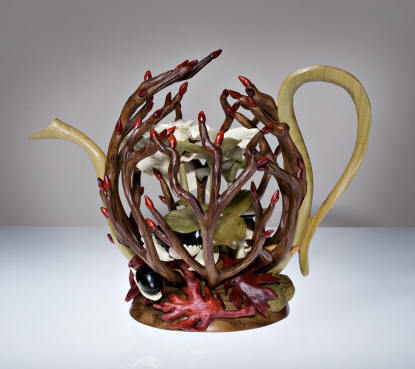 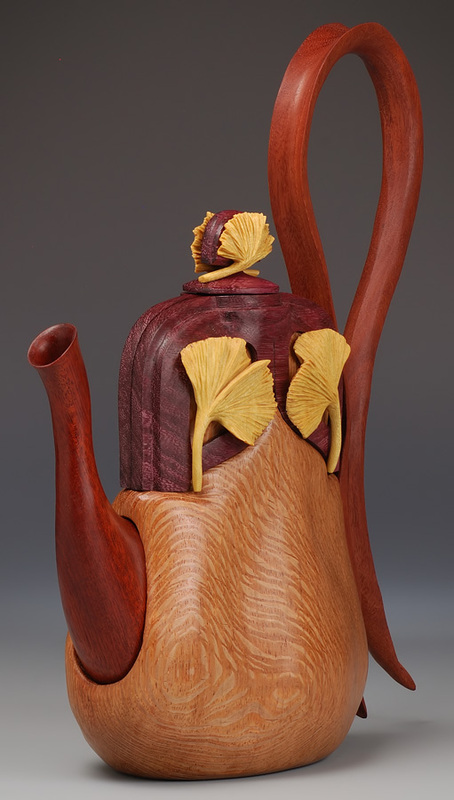 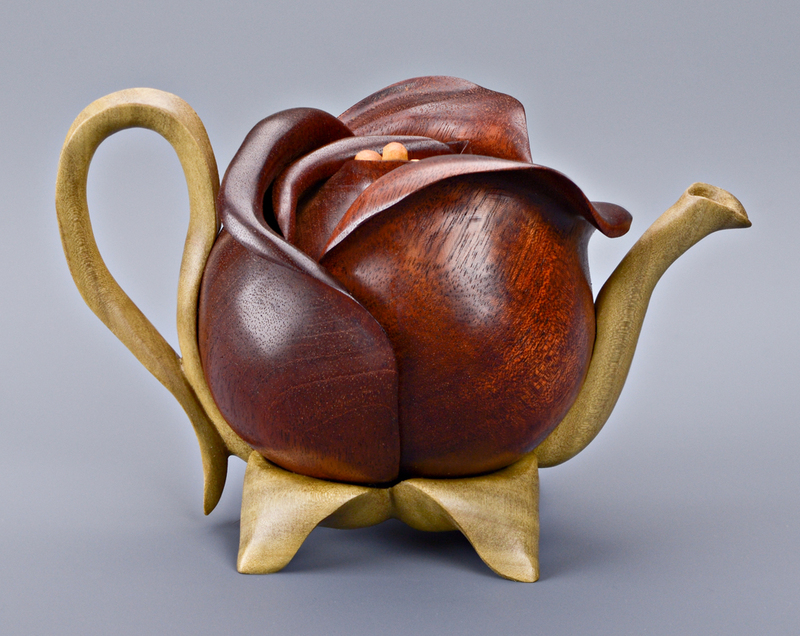 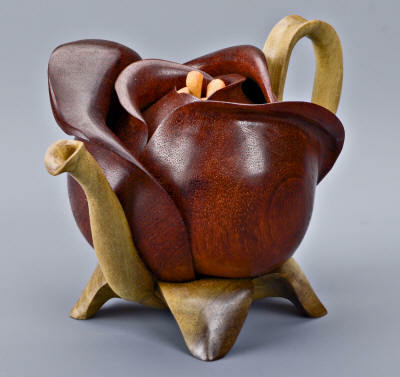 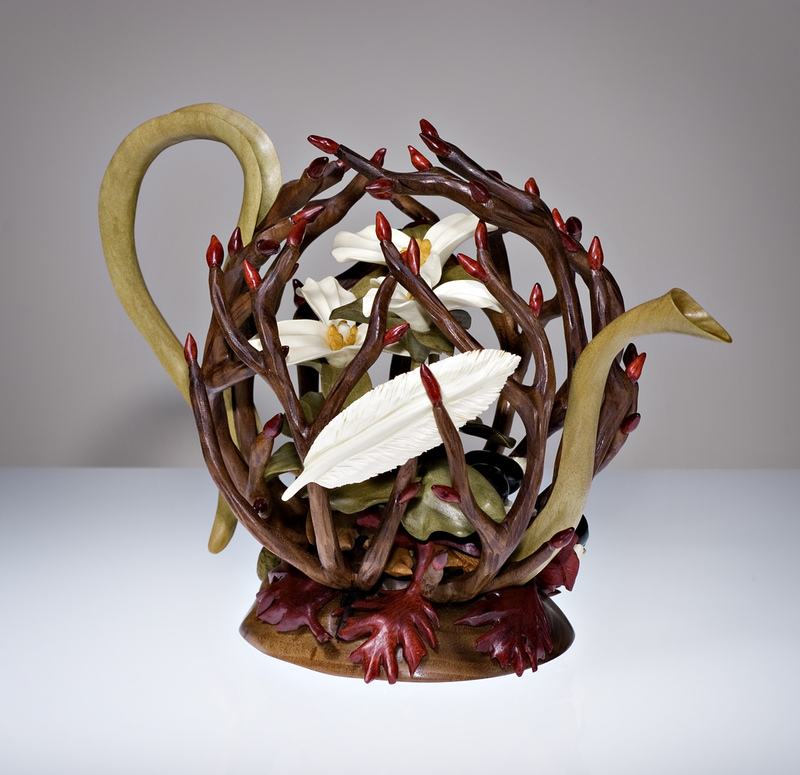 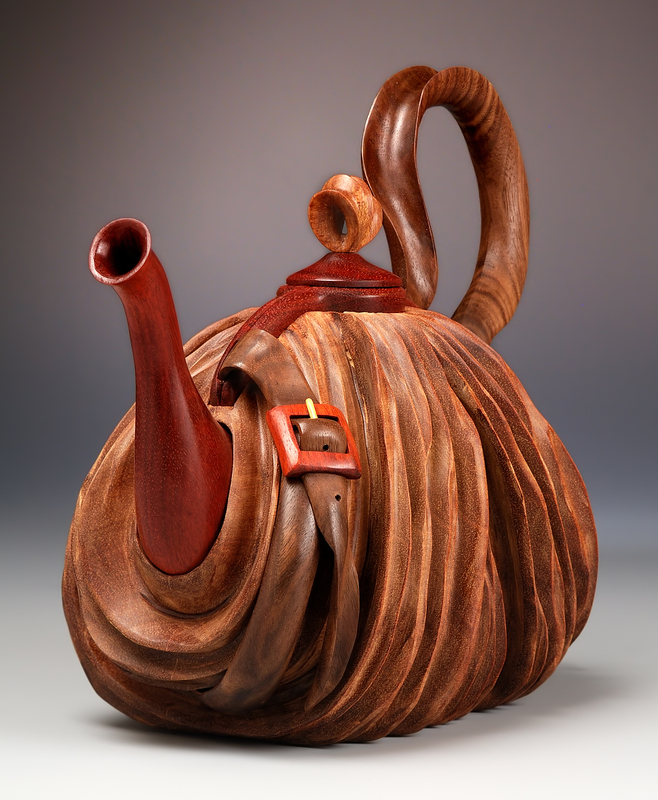 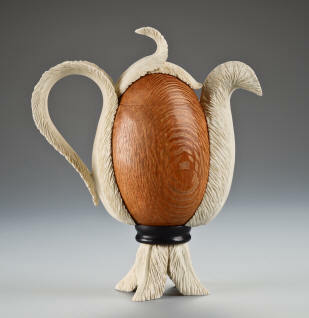 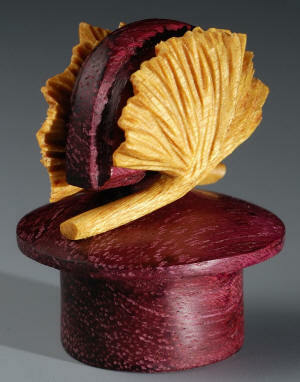 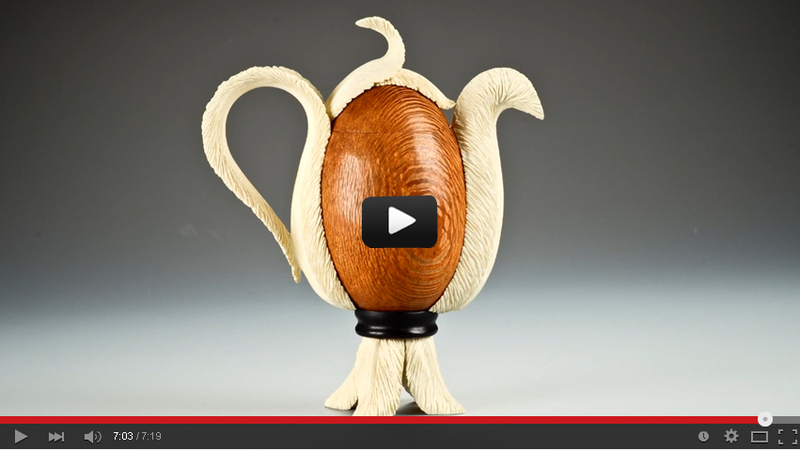 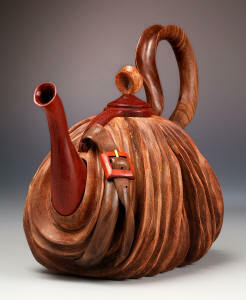 Teapot sculptures carved in wood. 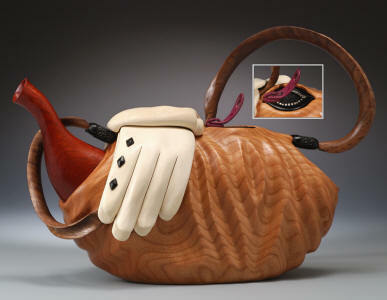 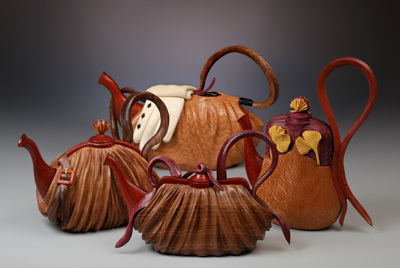 Teapot purses and nature wood carvings in teapot forms. 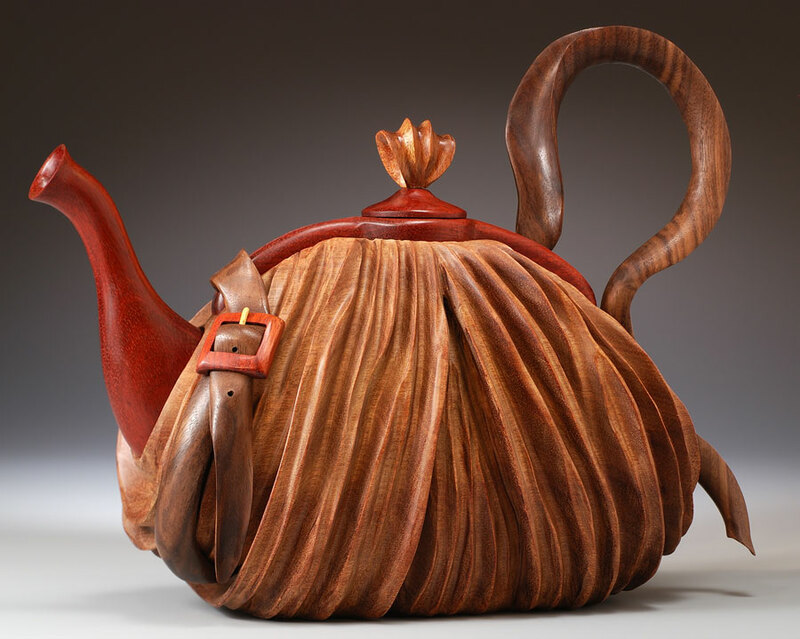 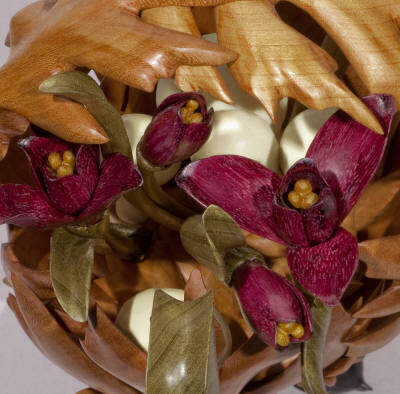 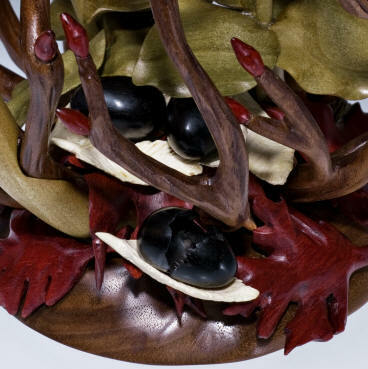 Each twist, turn, bend and fold of our life size sculptural wood teapot/purses are carved with individually executed pieces fitted together. 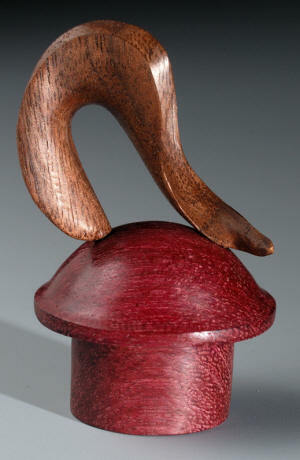 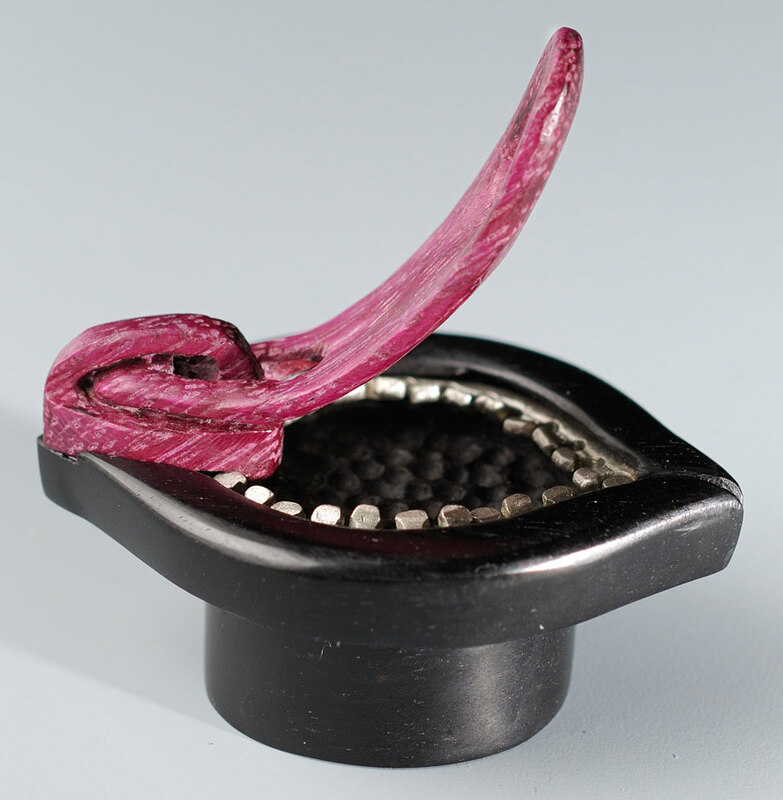 The body and spout are hollow, the lids are removable, the carved strap may be used as a handle. 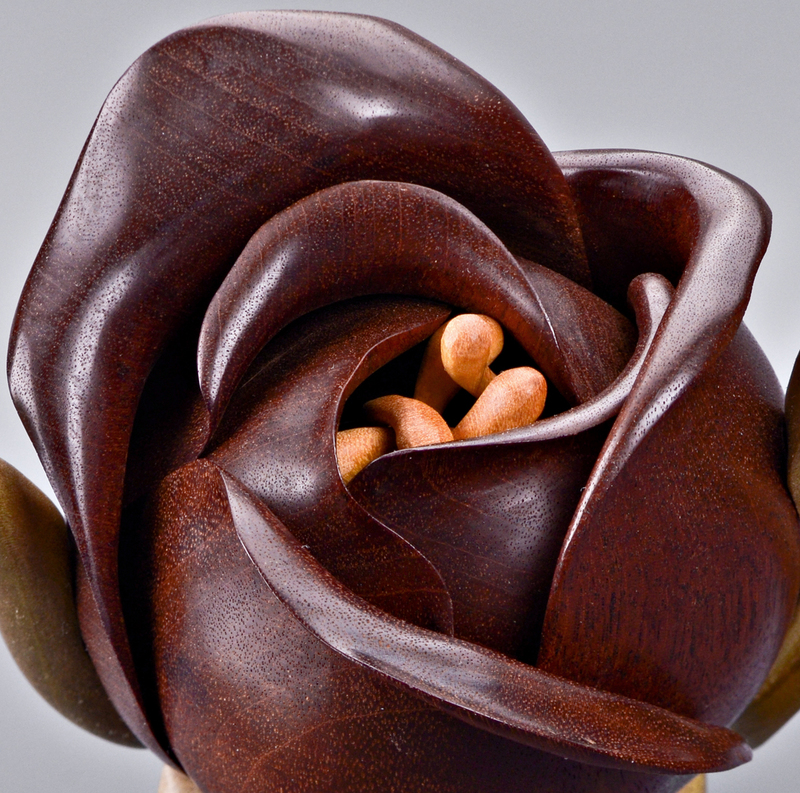 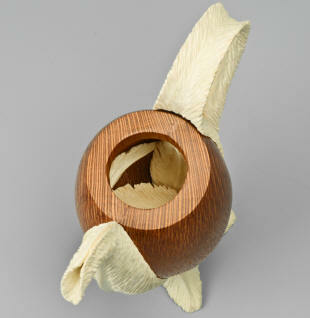 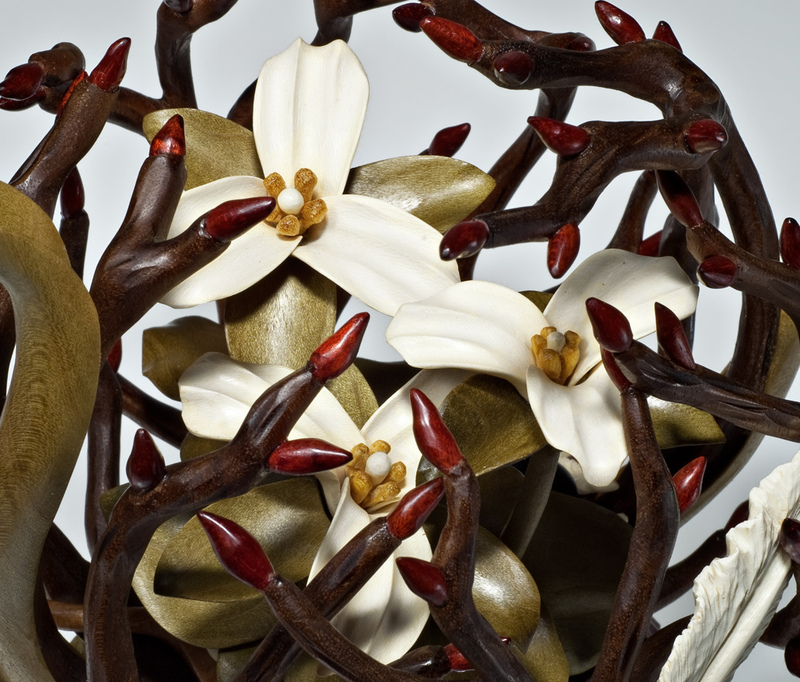 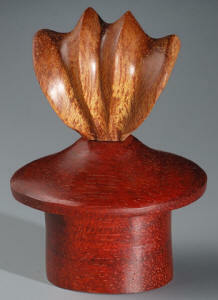 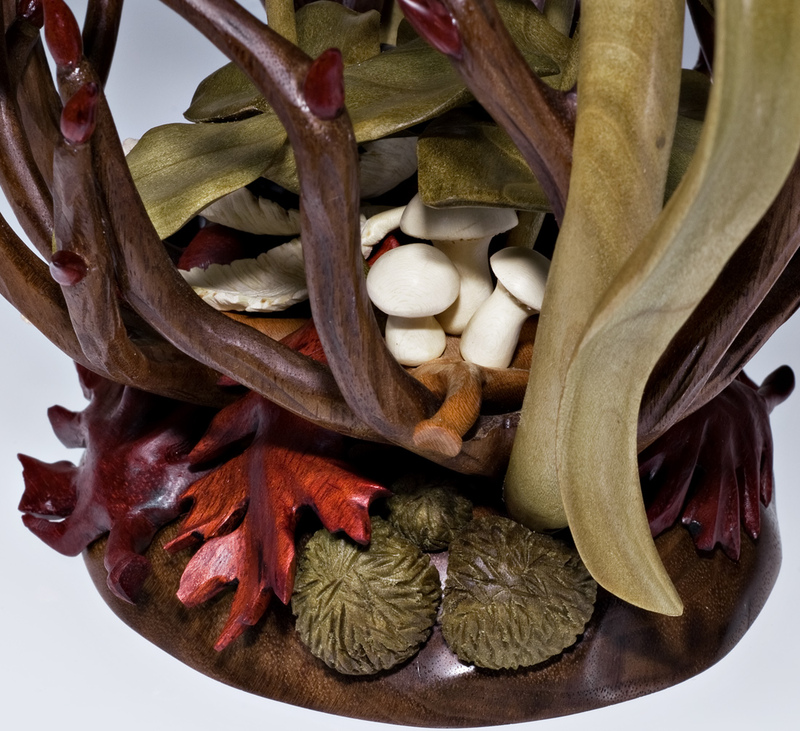 Each piece is finely sanded and oiled to celebrate the beauty, natural colors and grain of the wood. 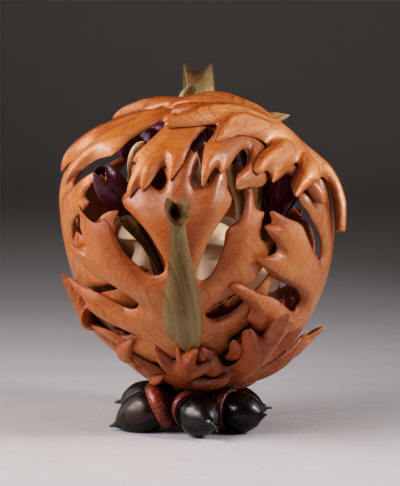 Click on a picture to see a larger version. 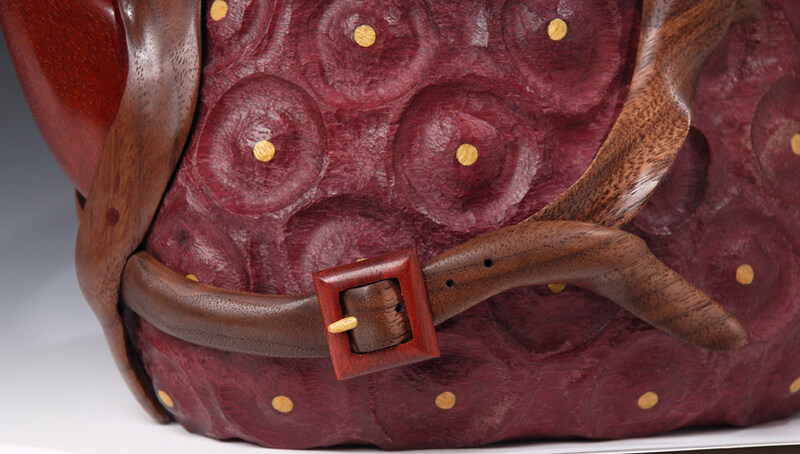 Use your browsers back button to return.